Rajasthan is a land where the vagaries of nature have settled to co-exist with the good cheer of its people. The architectural grandeur of royality and the tales of valour and chivalry are the essence of it's very spirit.It is a place that enchants the visitor with every little discovery that is made. Duration: 16 Nights / 17 Days:. Arrival in Delhi and transfer to the the hotel for overnight stay. After breakfast full day sightseeing of Delhi,which is a city embracing two worlds-The Mughal Legacy and Raj Heritage. Delhi is dotted with historical monuments such as Qutub Minar, Red Fort, Jama Masjid, Lotus Temple and India Gate all with rich historical memories. Overnight at the hotel. After breakfast, leave for the town of Mandawa located in the Shekawati region of North - West Rajasthan. Afternoon, visit Mandawa bazaar and havelis. Overnight at the hotel. After breakfast, visit some of the havelis (Traditional houses with interior courtyards) in the small town around Mandawa. Overnight at the hotel. After breakfast, leave for Bikaner, a heavily fortified fort city famous for its camel farm and colorful people. In the afternoon, visit 16th century fort. Also, visit the local Camel Breeding Farm. Overnight at the hotel. After breakfast, leave for Khimsar enroute visit Nagaur, a desert town noted for its fine fort and then visit the Royal castle at Khimsar. 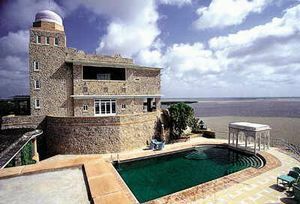 In the evening, drive into the desert to see the sunset and to spot Antelopes, Peacocks and Deer & overnight at the hotel. After breakfast, continue via the Hindu Jain Temples at Osiyan to the ancient city of Jaisalmer standing on a low range of hills in the Thar Desert, this perfect Rajput walled city is one of India's most beautiful, colorful & fascinating place. Overnight at the hotel. After breakfast, visit Gadisar Sagar, a natural lake oasis with a beautiful archway and waterside temples, also visit the fort built in 1156 and walk through the lanes to view the magnificiently carved havelis. Afternoon, drive outside the city to see Amar Sagar lake and to Sunset Point for a superb view of the city. Overnight at the hotel. After breakfast drive to Jodhpur with its massive 15th century fort in the most spectacular of cliff top settings. In the afternoon, exlpore the busy streets and bazaars. Overnight at the hotel. After breakfast, visit the magnificent Meherangarh fort. In the afternoon, go out to a Bishnoi village, where you will meet coloful tribal people and witness their village life. Overnight at the hotel. After breakfast, a scenic drive south through the countryside to see the beautiful jain temples at Ranakpur. Continue on through villages to the impressive 15th century fort at Kumbalgarh. Over at the the hotel. After breakfast, continue to Udaipur, visiting enroute the temples at Eklingji and Nagda. Arrive later in the afternoon at the unique lake city of Udaipur, the most romantic in India.Overnight at the the hotel. After breakfast, drive through the city to visit the city palace museum, Jagsish temple and the garden of the Maids of Honour (Saheliyon ki Bari) , also visit Bhartiya Lok Kala, a museum dedicated to Rajasthani arts, crafts and traditions. Afternoon at leisure. Overnight at the hotel. After breakfast, drive via Chittorgarh to the small village of Junia founded in the 14th century by Maharaja Sajjan Singh. This interesting village offers an excellent insight into the life of rural india and its people. Overnight at the hotel. After breakfast, drive to the colorful city of Jaipur and the state capital of Rajasthan. 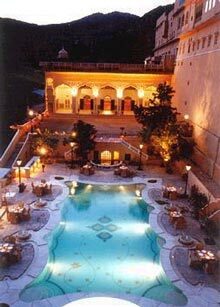 Jaipur is noted for its varied handcrafts and bustling bazaars. Overnight at the hotel. After breakfast full day sightseeing of Jaipur visiting the Royal Palace Museum, Jantar Mantar and Hawa Mahal. Overnight at the hotel. After breakfast, leave for Delhi for onward destination,enroute visit The Amber Fort known for its rich culture and heritage also take an elephant ride in Amber Fort.